What are Cryo-Body Sculpting Inch Loss & Cellulite Treatments? Cryotherapy “Body Sculpting” is a revolutionary alternative to liposuction and faddy diets. This treatment is natural and non-invasive, application of cryogenically cooled air to specific parts of the body helping you burn calories, shed fat and flush toxins. The localized cryotherapy treatment uses liquid nitrogen at a cooling -185 degrees. The nitrogen vapors are applied to isolated body parts by our trained Cryotherapist, whilst a gently massaging and sculpting the area to encourage lymphatic drainage. The Cryotherapy cooling technology results in localized fat reduction. Fat cells are especially sensitive to cold exposure. When the surface of the skin is cooled, blood flow is stimulated and lymphatic circulation improves in the target area, which is extremely beneficial for reducing cellulite. The body has a localized inflammatory response to the cold that is caused within the fat cells, also known as Panniculitis. Fat Cells rupture at a warmer temperature than skin and healthy cells, in doing so the fat by-products are naturally removed by the lymphatic system. 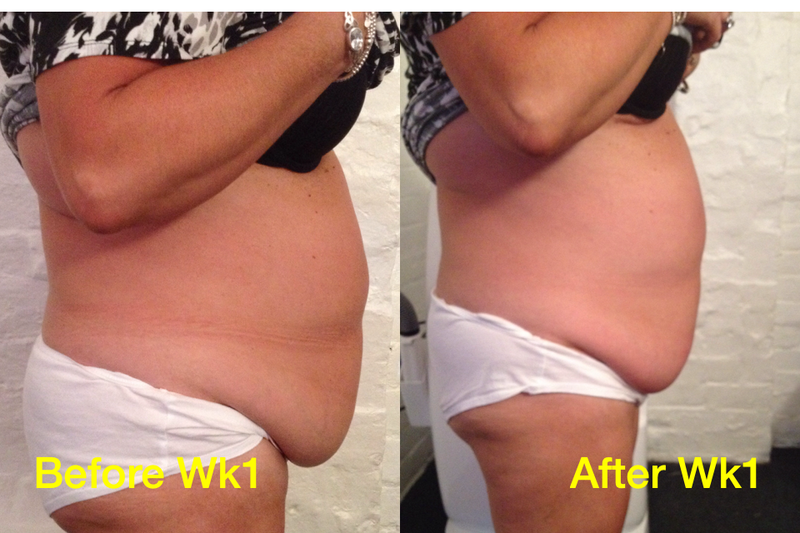 Theses natural and non-invasive biological reactions result in a reduction of density and thickness of fat layers. In the hours after the treatment, your metabolism will become hyper-charged and ready to loose even more weight. As your body recovers from the treatment, you can engage in low-level exercise to help you continue to shed the weight. It is the effect of the body warming back up by burning your available energy reserves that cause the weight loss. Additional benefits are the reduction of cellulite, an increase in the metabolic rate which burns 500-800 Kcals helping in weight loss reduction and the more treatments you have, the longer your metabolic rate stays at the higher rate. The clinically proven beneficial effects of cryotherapy show it there to be four times better lymph and blood microcirculation, oxygenation and nourishment of the skin and sub-dermal tissues. The treatment causes increased blood flow creating favorable conditions for cell renewal, expelling toxins and internal organ regeneration e.g; body rejuvenation on the cellular level. As with all cryotherapy treatments, multiple applications provide better results, as biological reactions are accumulative and become the body’s normal way of showing longer lasting effects. What happens during the Inch Loss Treatment? During the consultation, we will discuss your goals and the area of the body you wish to have treated. You will then have 30 minutes of cryotherapy followed by a lymphatic drainage massage with a body toning and conditioning cream with proven ingredients to sculpt, tone, tighten and re-texturise skin, to enhance your inch loss treatment and bring you maximum benefits. Cryotherapy may be the powerful training partner your weight-loss program needs. We recommend a minimum of 7 treatments if you are clinically obese but if you are within fifteen percent of your weight loss goals, clients often see fantastic results after 3-4 treatments.